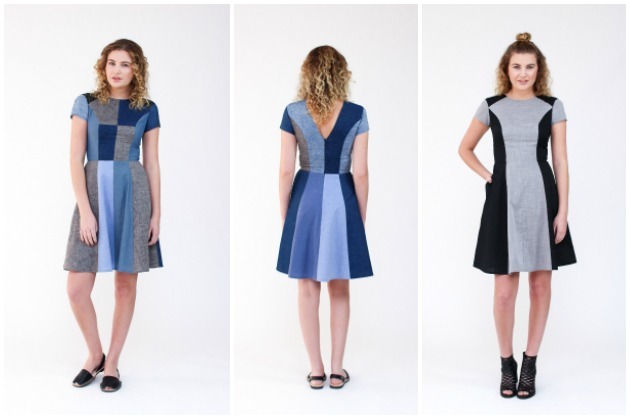 Have you seen the latest Megan Nielsen Karri Dress sewing pattern? It's a multi paneled dress with distinctive style lines, and as you can see from the photographs, this pattern is perfect for using up scraps of coordinating or contrasting fabrics, because of the small pattern pieces. But it is equally as striking and beautiful made up with just one fabric. 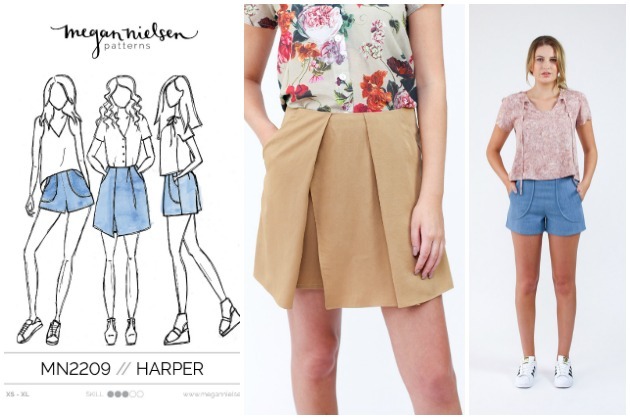 Another fairly recent pattern from Megan Nielsen is the Harper Shorts and Skort sewing pattern, which was released at the end of last Summer. The pattern comprises both stylish and comfortable shorts and a pleated skort. The design sits just below the natural waistline, features a modern fit, two lengths and a full lining. The shorts have curved patch pockets and the skort has slash pockets. It combines the comfort of shorts with the appearance of a skirt. 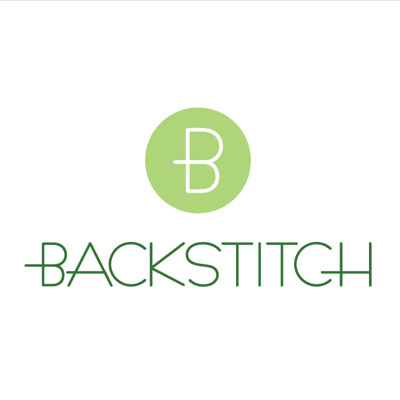 Recommended fabrics for these styles are medium weight fabrics such as denim, twill, poplin, broadcloth, linen, linen blends, suiting, gabardine, pique and wool blends. And don't forget about all of the other Megan Nielsen sewing patterns! 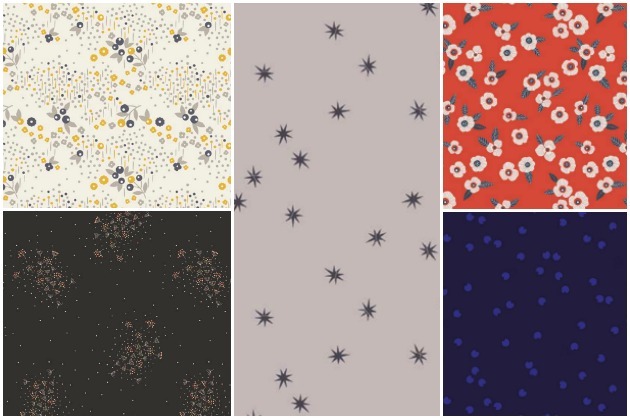 We still love the old favourite designs like the Brumby Skirt, Briar Sweater and T-Shirt and Darling Ranges Dress and Blouse.